In police work we say there are some things you will see that you just can’t unsee. Things that will change you, profoundly impact you, and the way you look at the world. Sometimes for the better, but often for the worse. I’ve seen many things over the years that I just can’t unsee. But, nothing has had quite the same impact on me as an all too short-lived encounter with an 8-year-old in the middle of rural route 126 one chilly October night. It was eye-opening. It was unsettling. It was my first time dealing with death. — A Call for Input: We love knowing what you want to hear about! Connect with us to let us know what you want to have more “Free Field Training” episodes focus on! Contact us today to tell us more about what you think! — Always Ready for a Good Cup of Coffee: It doesn’t happen often but now and again, a listener sends across coffee that I’m always appreciative of. Interested in sending me your favorite bean blend? Got a coffee you need some seasoned coffee-drinker insight on? Contact us today! — Drink Safely! Be sure to get the perfect drinking container – just like mine on Amazon! — Free FIeld Training Patches: You DO need a stinking patch (minus the stinking, of course)! – Check Out Officer 401’s Content Now! – The Free Field Training PatreonPatreon Effort: Be the FIRST to Get My Content! — What other ideas do you have for Free Field Training Videos? It’s easy to tell Tommy! Do It Now! — Ready to have YOUR input used inside one of our “All-Fan-Input” episodes? Tell us now? Tommy Mottl: Tommy has been a police officer for over a decade, with stints in SWAT, on-going Field Training, and currently serves as a police officer in a state in the American Midwest. 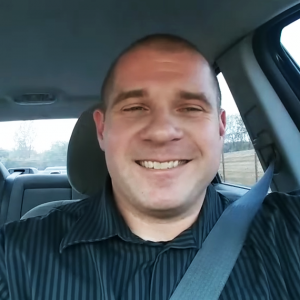 Tommy’s videos on YouTube have offered insight, detail, tips, and tricks about the front and back ends of becoming and being a police officer That effort now comes to you – via audio podcast. With both translated content from previous, adapted programming, and all-new, only-available-in-audio programming, The Free Field Training Podcast provides a center gathering point for information, education, promotion, and insight that simply can’t be matched. 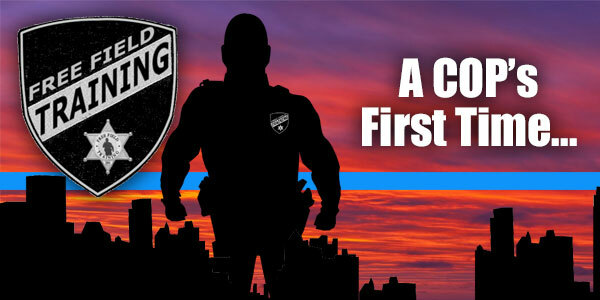 Be sure to use the contact form to send your messages to Tommy about his existing programs, but more importantly to ask about doing more great content to help you learn more about Security and Law Enforcement via Free Field Training. The Free Field Training is the first “Hybrid Content Podcast” to provide the content providers with TRUE control over what they convey to audiences. Do YOU have a program on YouTube, but are done having your content “pulled” with no reason, with no communication, for no reason? Be sure to contact 2GuysTalking with questions about podcasting, and changing the way you can connect with your own audiences (both existing and new!) via efforts to monetize YOUR program with help from The 2GuysTalking Podcast Network.